What does Social Justice mean to you? If you asked this questions to a room of 20 people, you’d probably get 20 different answers. This was one of the challenges that surfaced as we facilitated a strategic planning session for a fantastic and thoughtful organization last month. As the group worked together to create a shared vision, mission and goals, the importance of taking time to create shared definitions of terms that, on the surface, may seem self-explanatory, was clear. Often we want to skip this step in order to get to the “meatier” work of setting goals and establishing next steps. While these aspects are fundamental to a planning process, we can’t begin to establish next steps in a sustainable way without first developing a shared understanding and framework through which our goals can grow. In a PAR process, through collectively defining key terms, we create space to understand and share our own experiences. This shapes how we see, use, or experience these words, recognizing the value of our individual and collective knowledge. What issues or root causes does your work address or is connected to? 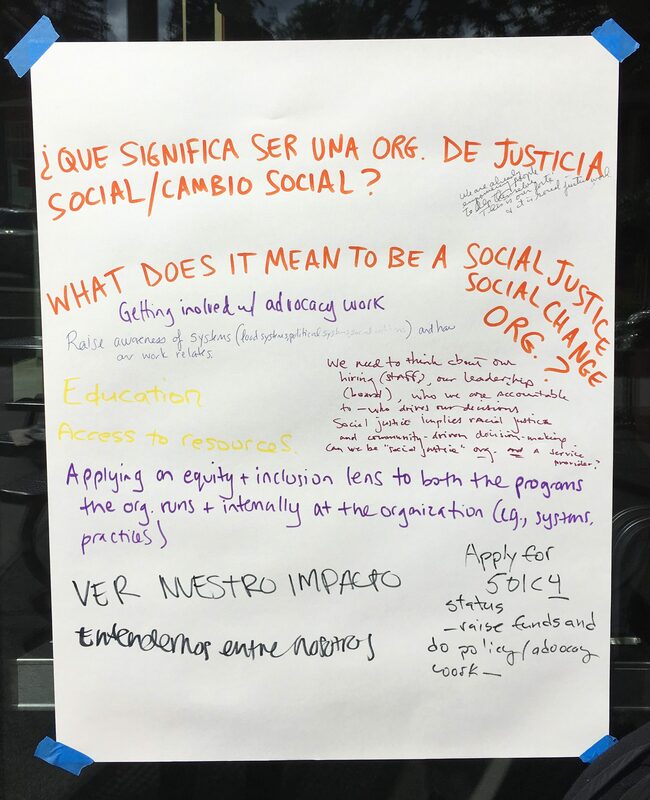 What does it mean to be a Social Justice/Social Change Organization? Does your organization provide services? How does this fit into broader issues? Are there key terms you use to explain your work? As a group, how do you define these terms?